Summary: Asura's Wrath is a unique experience that in spite of its flaws should not be missed, especially by anime fans or gamers looking for a compelling over the top story. 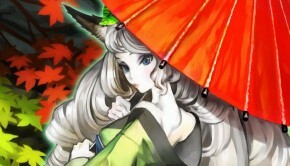 Happy 2013 and welcome to the inaugural post here on Gaijin Densetsu. 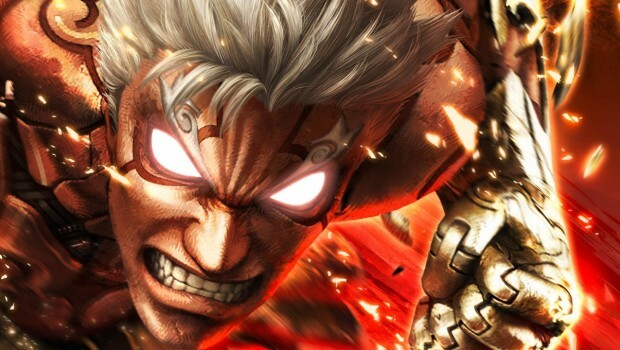 I thought long and hard about what game to write about for my first post and after much hemming and hawing, as well as no small amount of procrastination, I decided on Asura’s Wrath. I finally settled on this title because it represents a lot of my particular tastes in art: it’s not for everyone, it has a laser focus, and it manages to be good in spite of what would be considered tragic flaws in any other product. I also think it’s an especially relevant game right now on account of all the praise that Telltale’s The Walking Dead has been receiving over the past few months. These two games are wildly different and I don’t intend to compare them, though they share one important characteristic. That is, that to many they might not even qualify as “games” at all, but rather as interactive fiction. You might have missed Asura’s Wrath because it reviewed marginally when released in a year jam packed full of great games, and if so I urge you to read on because I’m going to go ahead and say right now that you’d be a fool to continue depriving yourself of a great experience that will no doubt live on to be a cult classic. This guy is just a warm-up. For interactive fiction to succeed, it needs to tell a story you’ll care about, because the focus is that much more on story telling than it is on deep game mechanics. The story in Asura’s Wrath achieves this goal and does it in a way that should resonate with the average player, in addition to being presented in a way that’s a special treat for fans of anime. To sum it up: Asura is one of eight guardian demigods who protects the world from the rampaging Gohma, creatures that emerge from the earth itself to terrify and murder its inhabitants. The strongest demigod, Deus, decides he’s sick of doing all the hard work for the human emperor and murders him, framing Asura, killing Asura’s wife, and kidnapping Asura’s daughter who also happens to be the high priestess. Asura is killed when he confronts the demigods who betrayed him, but instead of dying he finds himself in Naraka, the underworld, where he is urged by a mysterious golden spider to go back to earth and seek revenge. Asura, fueled by anger at his betrayal, climbs out of the underworld to find that 12,000 years have passed and that his old comrades have established themselves as gods over the world. To add more fuel to the fire, they’re continuing to hold his daughter captive so that she can collect souls to power their ultimate weapon, a weapon they intend to use to defeat the Gohma once and for all. 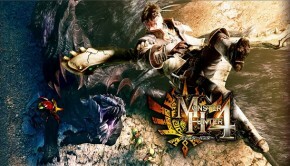 While it’s not unlike any number of anime series or films where the protagonist must go from henchman to henchman, fighting his way up the top of the food chain to finally confront his ultimate betrayer, it is presented with so much dynamism and visual flair that you quickly get over the well tread story beats. Asura’s trademark wrath is convincingly acted. His angry screams never get tiresome and you can’t help but smile as his body creaks like a wooden plank about ready to snap when he’s under strain. His betrayers are a motley bunch, and most of them are charismatic enough that you wind up liking them despite how petty, ruthless, and downright evil they are. The setting itself, too, is a weird blend of high-tech science fiction and traditional Buddhist iconography and design motifs. This stuff all feels incredibly non-traditional when you think of how uniformly terrible stories and settings in video games tend to be. Asura’s Wrath rides a fine line, abandoning tradition where it doesn’t need it, and paying homage to it when it’s important. This is exemplified by how the game is broken up into short chapters with commercial bumpers and previews of the next chapter not unlike an episodic televised anime series. It sounds hokey, but those are just a few examples of how much attention to detail there is in this game. 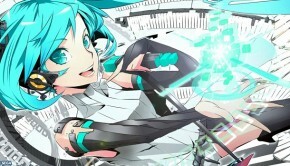 It’s basically the best game based on an anime series that never existed. So at this point I should basically just propose to Asura’s Wrath and start planing the wedding, right? Well, not really, it’s time to take the rose tinted shades off. This game has some problems. For starters, the aforementioned problem that it isn’t much of a “game.” There are three distinct types of gameplay in Asura’s Wrath, and none of them are very deep or interesting. First, you have some pretty standard rail shooter sequences that feature Asura shooting bolts of energy out of his furious fists. Second, there are some dreary brawler segments where you mashing out one basic combo occasionally hitting triangle for your heavy attack and sometimes having to dodge out of the way of incoming enemy attacks. Lastly, you have lots, and lots, of quick time events. These are basically the worst gameplay elements that exist, and although they’re executed adequately you need an occasional reminder of exactly why you’re playing this game again. 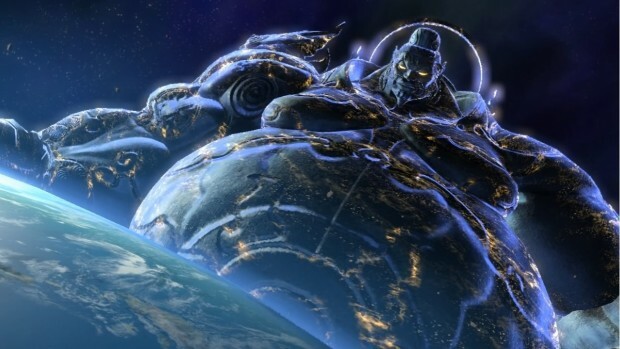 Luckily, for its own sake, Asura’s Wrath is delivering those reminders constantly by virtue of the sheer scale of what’s happening on screen. In those rail shooter segments you’re shooting down entire fleets of enemy battleships. The brawling segments mostly involve skirmishes with minor enemies, but every once in a while you punch an elephant shaped Gohma the size of a skyscraper and he flies through a mountain. The quick time events manage to be the best part of the game, because most of the time they’re about a fight where it’s reasonable that Asura gets knocked from the moon back down to earth, and then impaled with a sword so long it goes all the way through the planet. Nothing that happens in this game is trivial. If Heavy Rain had QTEs like Asura’s Wrath, when you input the button combination required to make Ethan brush his teeth his head would explode and disembodied teeth would fly across town and chew up the Origami Killer. This guy, the one that’s bigger than the planet, he’s the first boss. I feel excited just thinking about it. Again, that’s not to say that this game doesn’t have issues, because it does. The gameplay is shallow even if what’s happening on screen is often amazing. They lock away the “true ending” behind DLC, which is horrible in principle even if the basic on-disc ending is satisfying. It isn’t very long at all (5-6 hours) and you won’t get much replay out of it unless you wind up treating it like a favorite TV show and just “re-watching” it once in a while. It shouldn’t have been released as a $60 retail disc,but rather in an episodic format for a total price of no more than $20 or $30. It’s memorable, though, and unique. When you play Asura’s Wrath, things will happen on your TV that leave you in a kind of slack-jawed amazement that few games can muster. There’s nothing quite like it, and that means something to me on the tail end of a generation where the common sentiment seems to be that studios are playing it too safe and giving us nothing but annualized sequels. 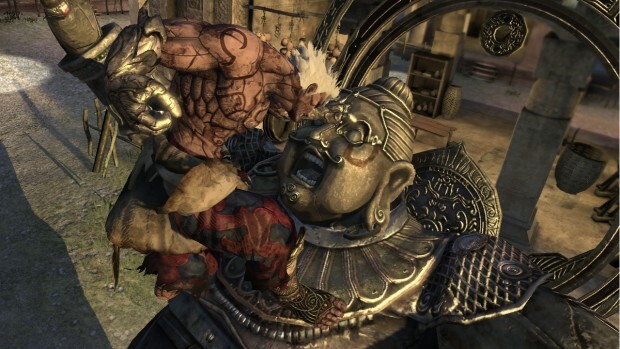 One Response to Asura’s Wrath – BURST! those games are almost always better.